Malaysia Airlines (MAS) plans to resume nonstop flights between Brisbane and Kuala Lumpur from June after a near three-year absence on the route. Brisbane Airport said on Tuesday MAS would commence a four times weekly service from June 6 2018 with Airbus A330 equipment. The flights have been scheduled as a morning departure from MAS’s Kuala Lumpur hub and an overnight service from Brisbane. MAS chief executive Izham Ismail said the return to Brisbane would “facilitate our growth plans focusing on key business and leisure cities”. “Malaysia Airlines is very excited to be re-instating Brisbane back to our network,” Ismail said in the Brisbane Airport statement. The oneworld alliance member ended nonstop flights to Brisbane in August 2015, with the route sacrificed as part of a painful restructuring plan that also resulted heavy job losses alongside service reductions to Adelaide, Melbourne, Perth and Sydney in Australia. 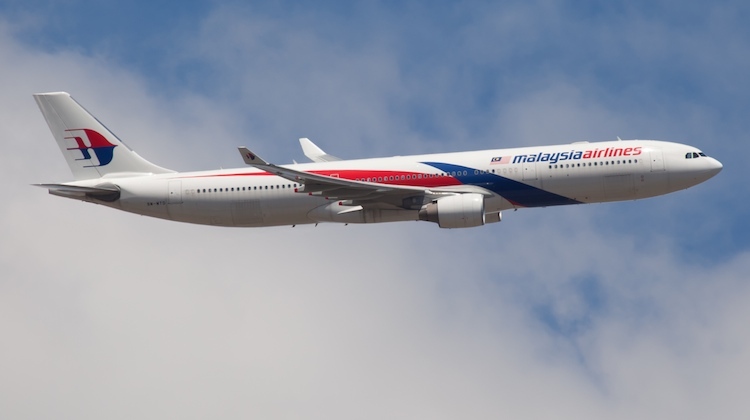 There were also frequency cuts to Guangzhou, Ho Chi Minh, Hong Kong, Manila, Siem Reap, Taipei and Yangon as the airline endeavoured to turn around heavy financial losses and recover from the double tragedy in 2014 when MH370 disappeared enroute from Kuala Lumpur to Beijing and MH17 was shot down over Ukraine on the way from Amsterdam to the Malaysian capital. Currently, MAS operates 15 A330-300s which are configured with 290 seats comprising 27 lie-flat business class seats and 263 economy class seats at eight abreast, according to the airline’s website. The type is used on its Adelaide, Melbourne and Sydney flights, while Perth is served with Boeing 737-800 narrowbodies. Meanwhile, MAS recently decided to add six ex-airberlin A330-200s to meet a short-term requirement for its fleet needs. The first of these A330-200s is expected to enter service with MAS in February, according to a research note from aviation thinktank CAPA – Centre for Aviation’s sister website Blue Swan Daily. While the MAS configuration for these A330-200s has not been announced, airberlin operated the aircraft with 19 business class, 44 extra legroom economy and 227 economy seats for a total of 290. MAS will be the only airline offering a nonstop link between Kuala Lumpur and Brisbane. Malaysian low-cost carrier AirAsia X serves nearby Gold Coast. Been calls for this route to return for a long time now. It’s great to see it back. If MAS can operate this route successfully, why can’t Qantas at least operate to KUL from one Australian airport as a minimum? @ David The reason is that there is probably insufficient demand for flights just to KL for Qantas. MAS use KL as a hub to other destinations. @David because KL is a hub for MH where they are able to gather traffic from across their network to get the loads. It doesn’t seem to generate enough end-of-line traffic for QF to launch flights, although they are in a codeshare partnership with MH. Folks it’s no longer MAS. The company is now MAB. Malaysia Airlines Berhad. Agree fantastic news to see them back. COME BACK TO DARWIN MH!!! This is great news for South East Queensland as Air Asia X are slashing their capacity on the KUL/OOL from the 1st of February. Sally: thanks but I’ll still call it MAS. I will defiantly be flying them to Europe! Thank you Malaysia airlines I have waited since 2015 for you to return! And 2018 they are returning great news!! So excited! I lived in KL for 10 years off and on so used Malaysian for many flights and was very disappointed to see the BNE service terminated. Hard to understand that they kept flights toADL, which has a much lower passenger catchment than BNE. Yes its now Malaysia Airlines Berhad – the original name was Malaysian Airline Systems Berhad hence MAS, which means gold in the Malay language. MAS is still used in the ICAO flight number which is used in flight plans and communications, and Air Traffic Controller radar displays eg MH123 is shown as MAS 123. So MAS lives on.